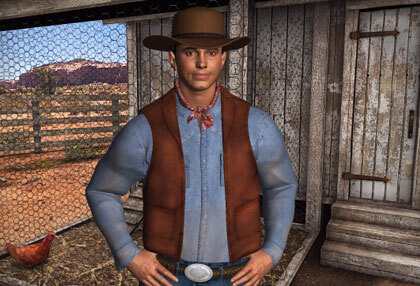 Max Holechek is a director and designer of award-winning interactive experiences. His high versatility has garnered an eclectic portfolio: Marketing initiatives and video games, to educational software and websites for start-ups and established brands. As a designer, Max is an empathetic and passionate advocate for the customer/end-user. As a leader, he is a big picture thinker with a demonstrated track record in identifying and driving solutions for complex issues. Max excels at team-building and strengthening interdepartmental communication. Max is looking for new, interesting opportunities. He thrives in companies that command a boldness of vision, the discipline to pursue it, and the trust to let its employees lead the way. In this environment, Max will bring about fresh and exciting levels of innovation. 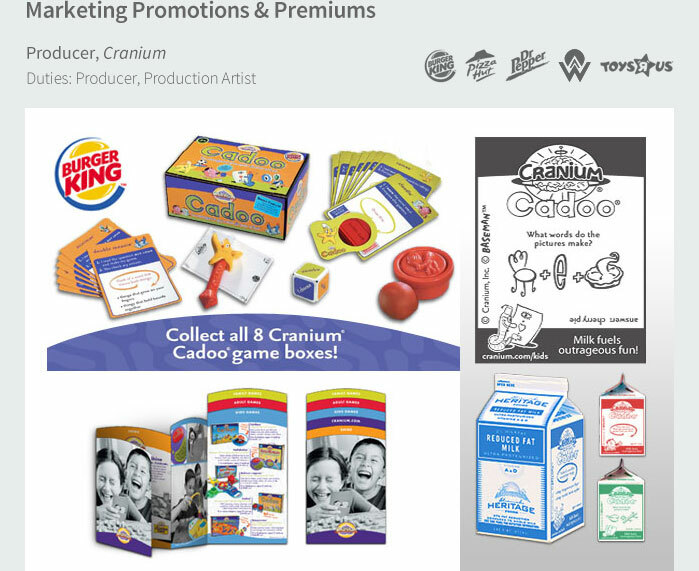 26 awards and recognitions have been bestowed on Maxs products. 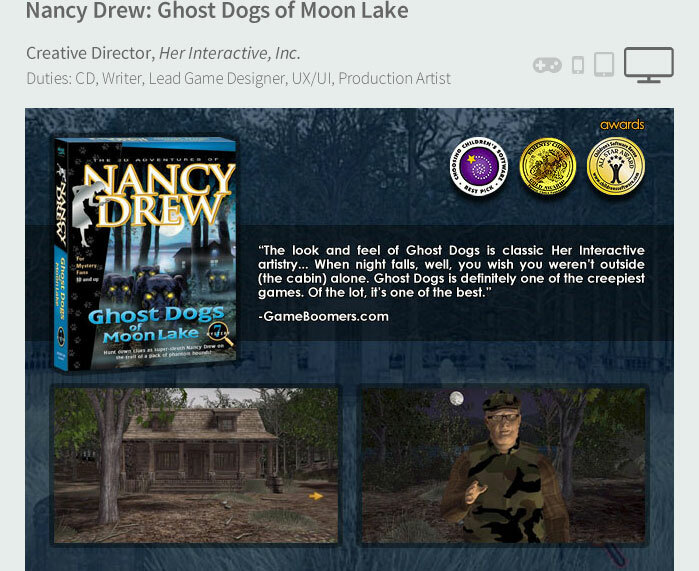 His work has been cited in two books dedicated to interactive storytelling. 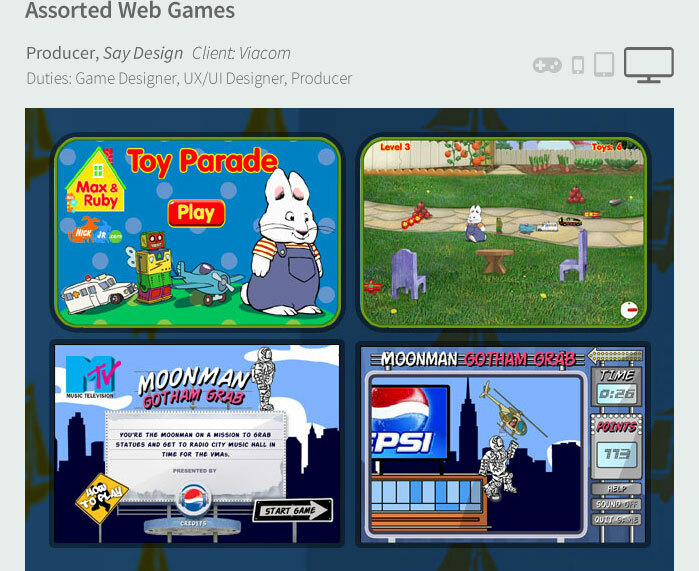 Play "Max and Ruby's Toy Parade"
Led UX/UI team in designing interfaces and experiences for DreamBox’s 3rd – 7th grade math software, for Web and iPad. Supervised usability testing in area Boys & Girl Clubs and used test data to improve student engagement in lessons and global client. 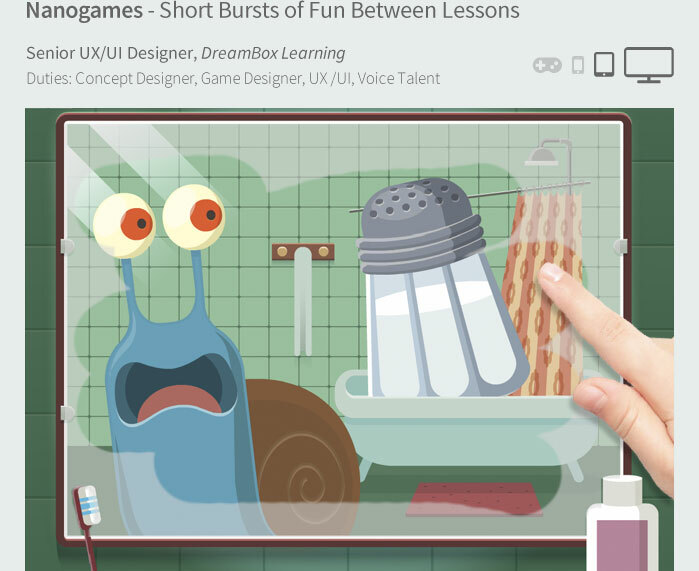 While DreamBox's K - 2nd grade lessons scored high with students, usability testing and anecdotal evidence revealed that their grade 3 - 5 content was not resonating. 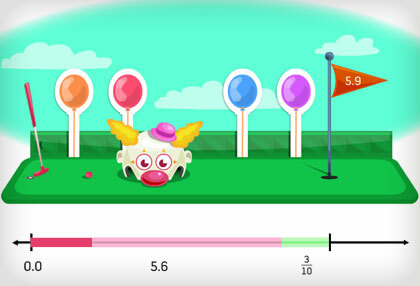 In close collaboration with the Vice President of Learning, Max brought immediate improvements to the lessons and global UX, including whimsical math metaphors, irreverent micro-games, an upgradable avatar system, humorous teaching videos, and introduced multiple levels of surprise and delight. 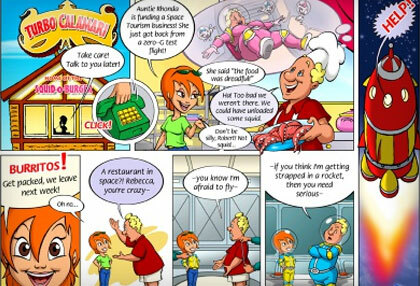 Recognized problems with the 3rd – 5th grade content upon hire and took initiative to begin injecting more age-targeted humor, fun, and surprises into the product. When the company eventually acquiesced that problems were at hand, Max's solutions were already underway and being tested. 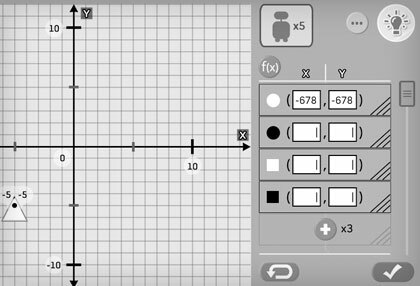 Responsible for the concepts and direction behind what has become DBL’s most popular grade 3 - 5 content. 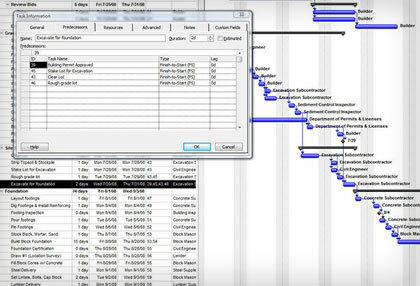 Lead the product's UI redesign and improved UX when adapting for iPad. 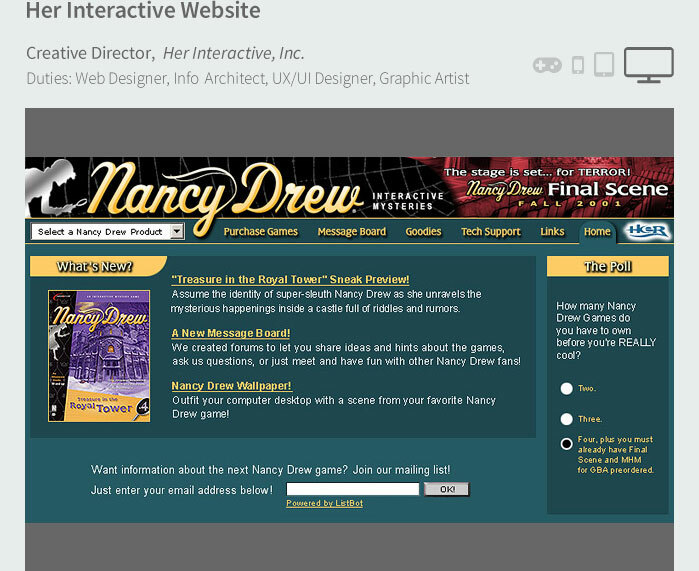 The success of the UX/UI improvements were later carried over to the Web experience. 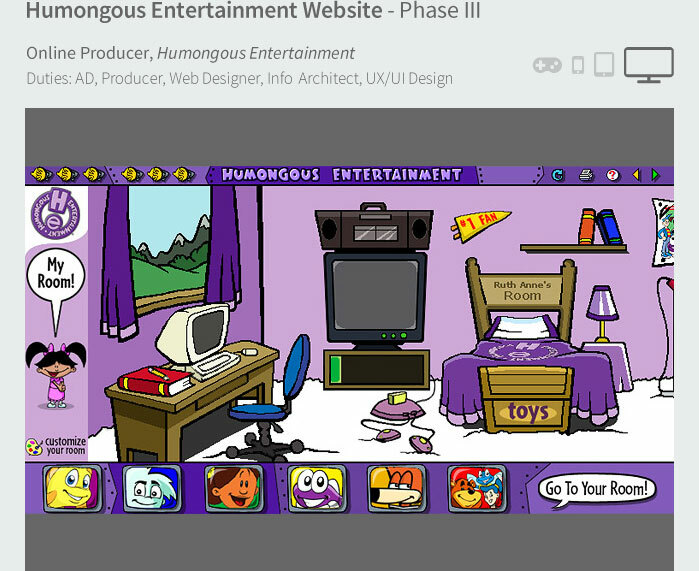 Recognized that the 3rd – 5th grade content did not have brand-identifiable/marketable characters. 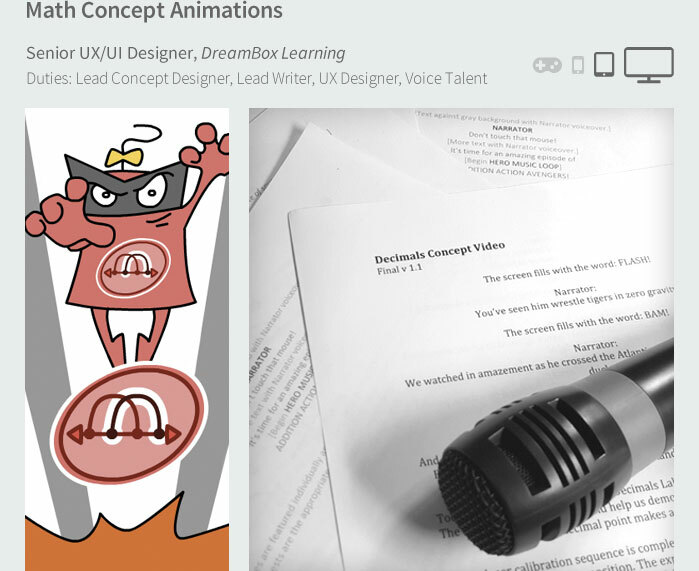 Took initiative to conceive, script, and provide voice work for funny, exciting learning videos that featured heroic characters. 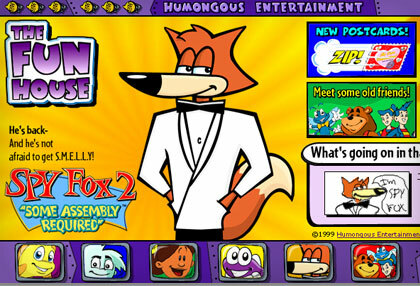 The popularity of these heroes quickly made them synonymous with the DreamBox brand. 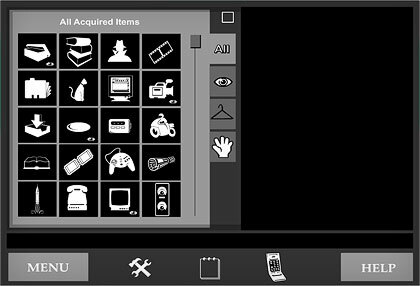 Led the UX/UI team through the transformation of all button text into iconography, during localization of product. 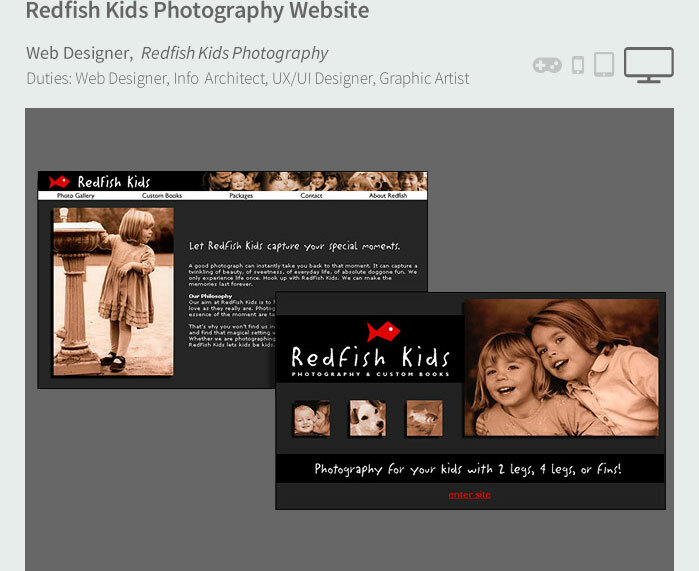 Spearheaded usability testing that revealed a 100% icon recognition rate among 3rd to 8th grade students. 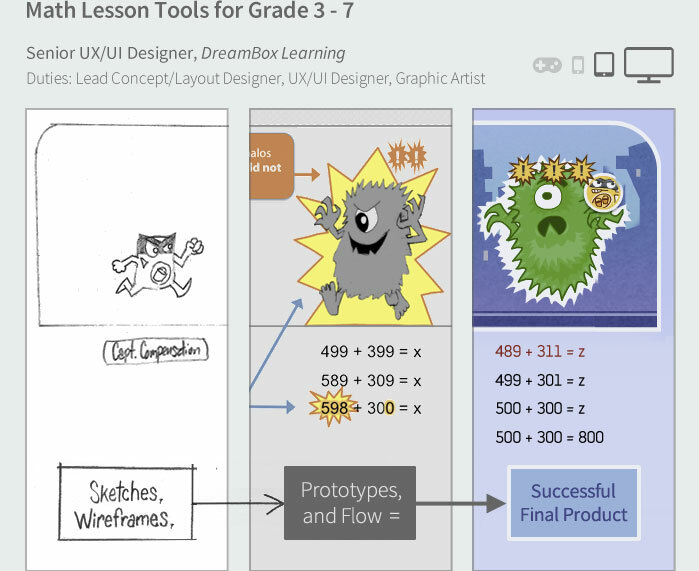 Shepherded the product's global UX upgrade for middle school students. 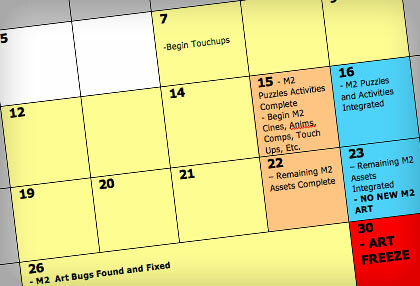 Implemented fun, competitive features that were later also introduced to the 3rd - 5th grade content. 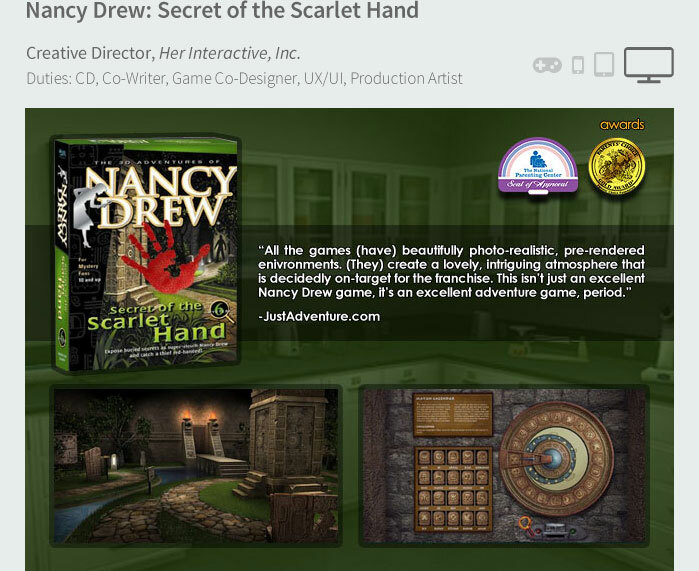 Was promoted to Creative Director for HI's celebrated Nancy Drew adventure game series within 6 months of hire. Led the company's product vision, development, and IP stewardship. 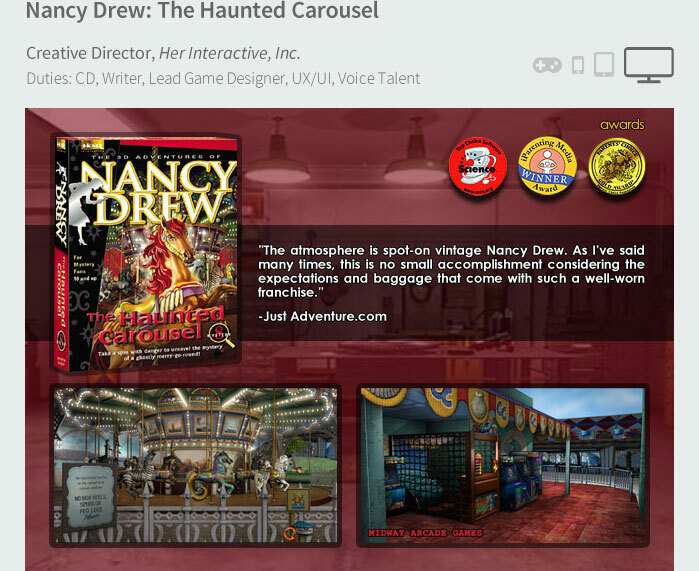 When retail distributors slashed the price of children's games to $19.99, Her Interactive was deeply shaken, as its business model was built entirely on the company's annual $29.99 Nancy Drew title. 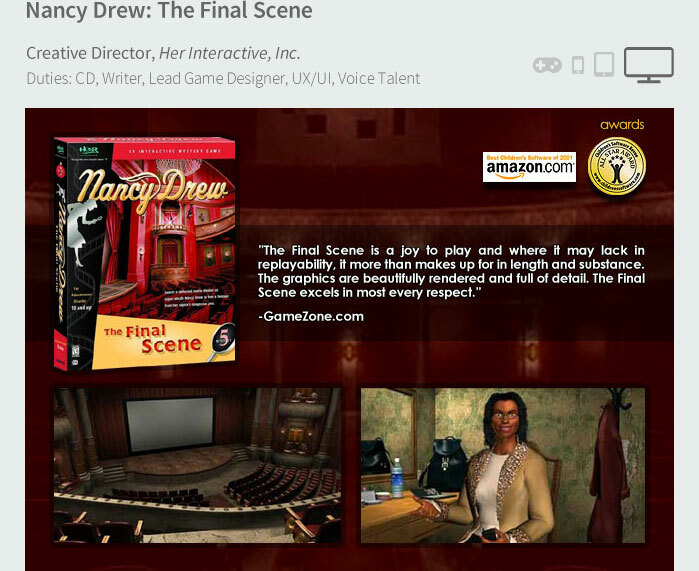 Reporting directly to the company president, Max spearheaded a radical restructuring of design and production processes, and with a "never say never" attitude, subsequently shipped 2 award-winning games, per year, for 4 years. Increased the company's output by 100% and profit by 73% within 12 months. 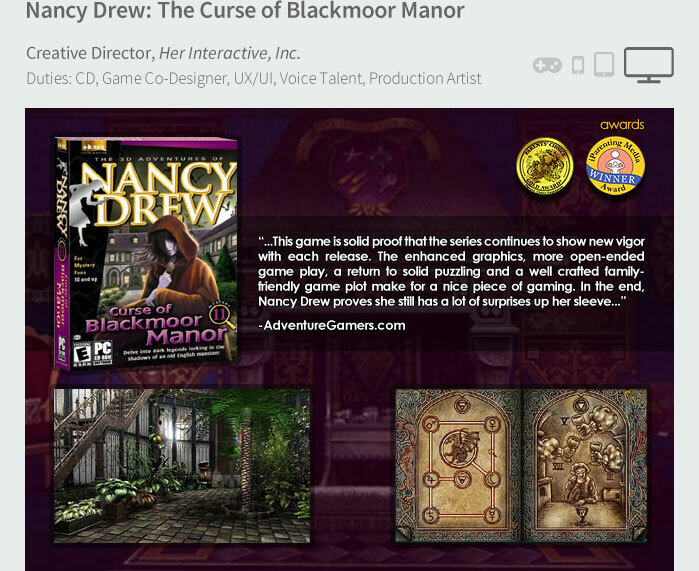 Shepherded the release of eight adventure games in fewer than four years. 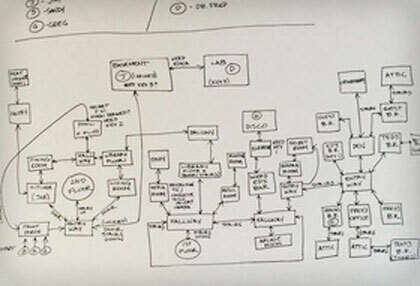 Devised innovative design techniques for smaller-scoped adventure games that were virtually indistinguishable from their larger counterparts. 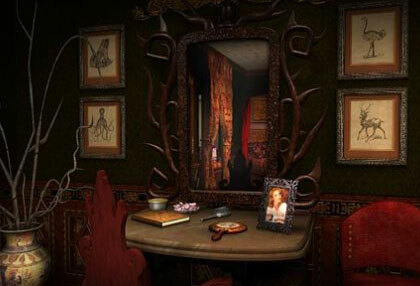 Retained and restructured the entire art team, meeting increased artwork goals. 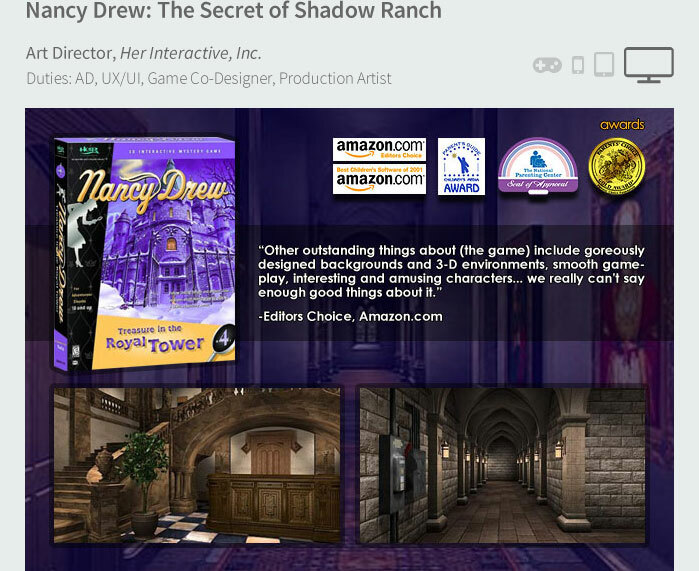 Increased the Nancy Drew game customer base by 35%, via passionate fan word-of-mouth. 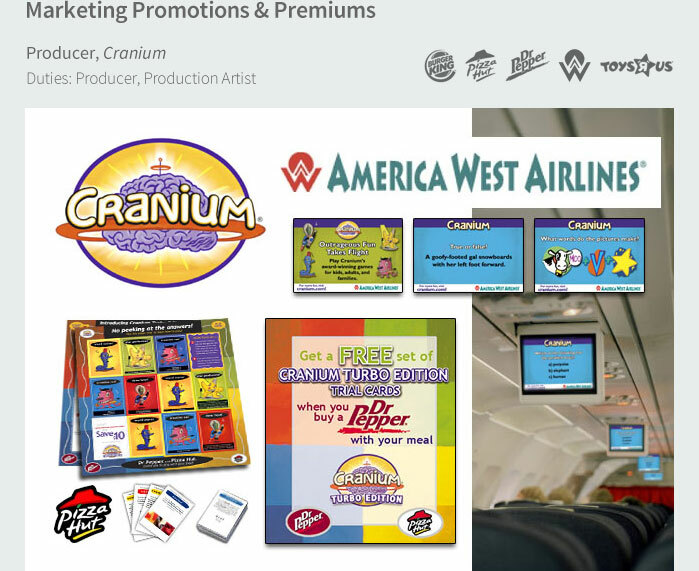 Retained and advanced Her Interactive's quality standards, attaining 23 industry awards. 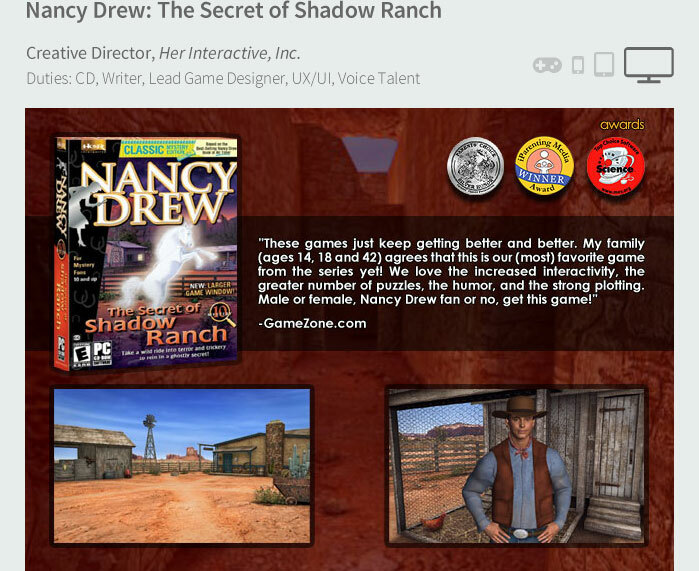 Was responsible for the game titles that revitalized public interest in the Nancy Drew IP for Simon & Schuster, resulting in three additional book series, a Nancy Drew TV movie, and a feature film. 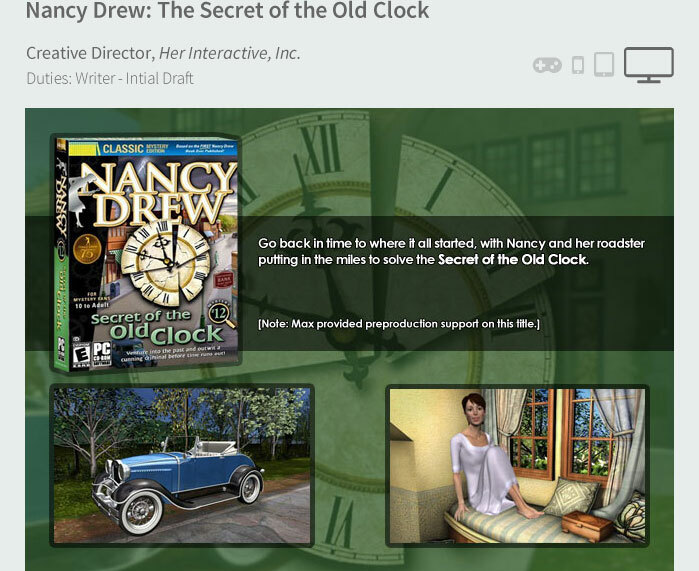 Set the quality standard so high that Max's 8 games became the "Golden Era" to which fans have since compared all subsequent Her Interactive releases. 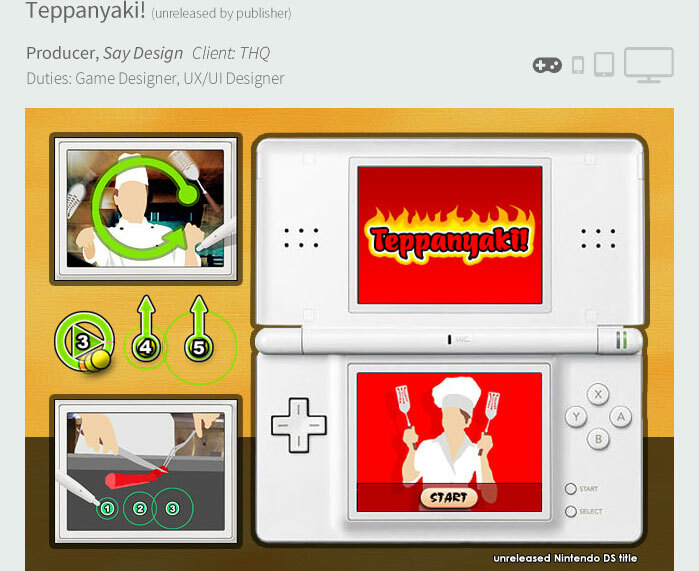 Co-Designed "casual" video games, while acting as Senior Producer for the company's Eastern European development teams. 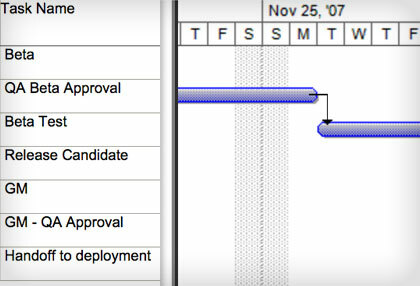 Authored and maintained all project documentation, including GDDs and project schedules. 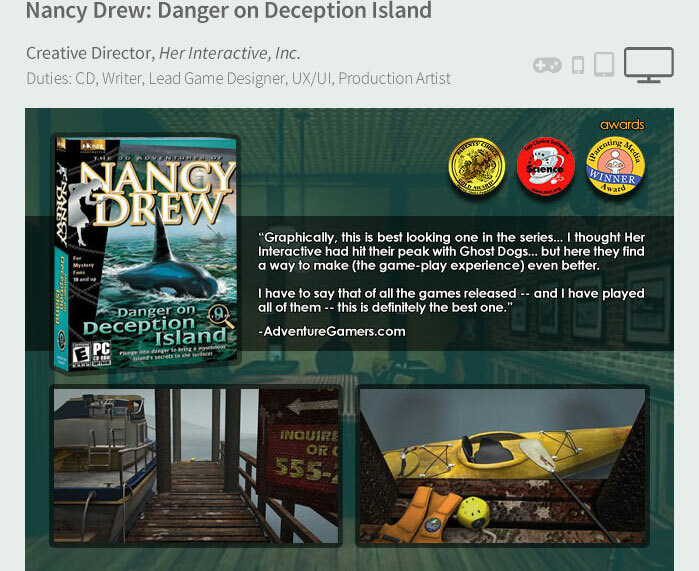 After failing under two previous producers and 6 months of production, a runaway game project was headed for the chopping block. Max requested the project be assigned to him and, after careful analysis, began implementing solutions. 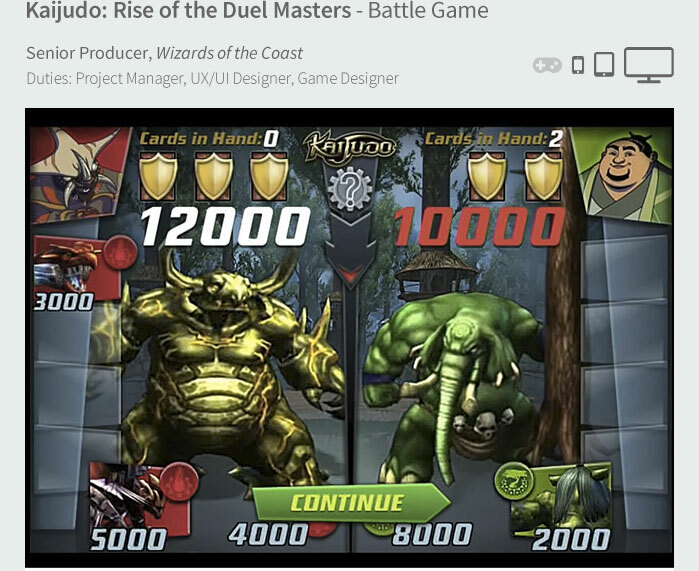 He completed production and handed the Gold Master to QA within 6 weeks. 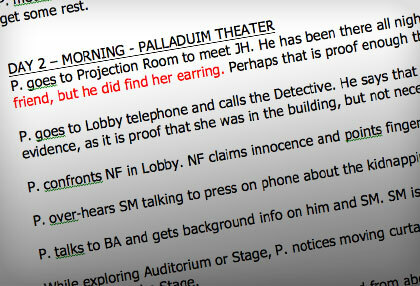 Retained and restructured original production team, counselling them through feelings of burnout. 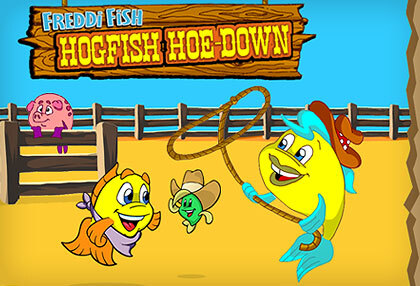 Redesigned crucial gameplay and flow elements the hampered the play experience. 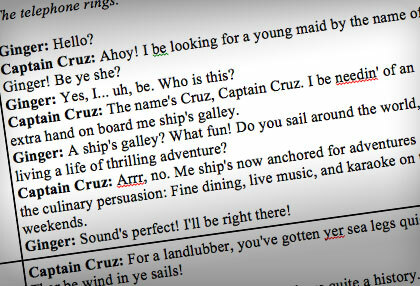 Scripted a humorous narrative to tie together game levels and dialogue exchanges to increase player investment in the characters. 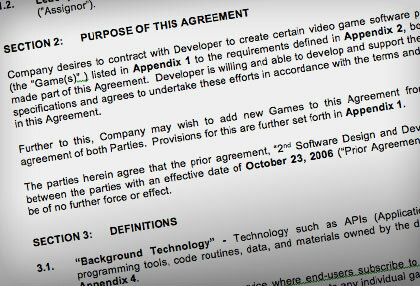 Successfully shipped the game and saved the company an excess of $200,000. 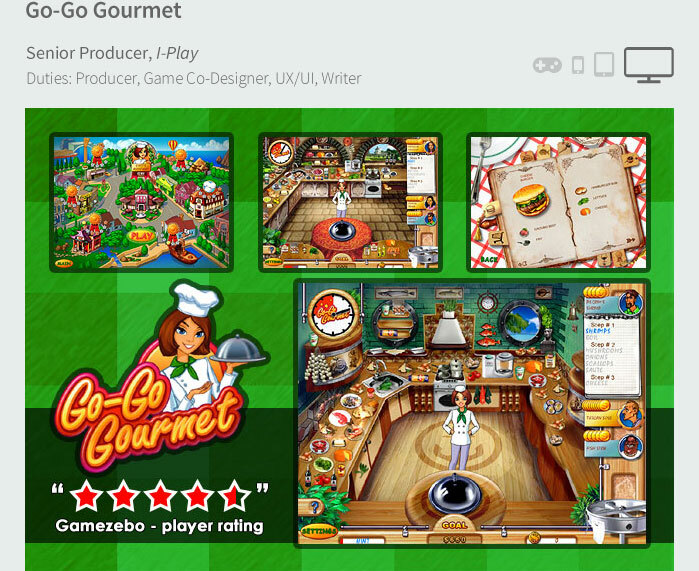 The game, Go-Go Gourmet, became a fan favorite and generated enough interest and sales to garner a sequel. 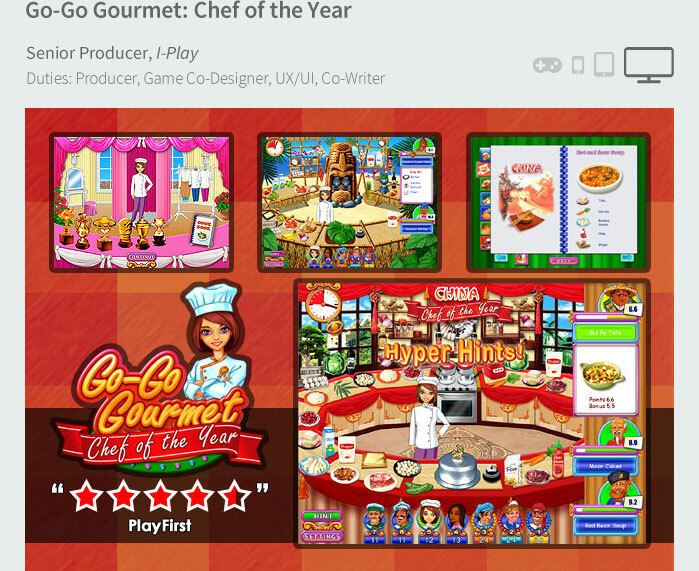 The sequel, Go-Go Gourmet: Chef of the Year, was developed under Max's supervision and received positive reviews that surpassed original. 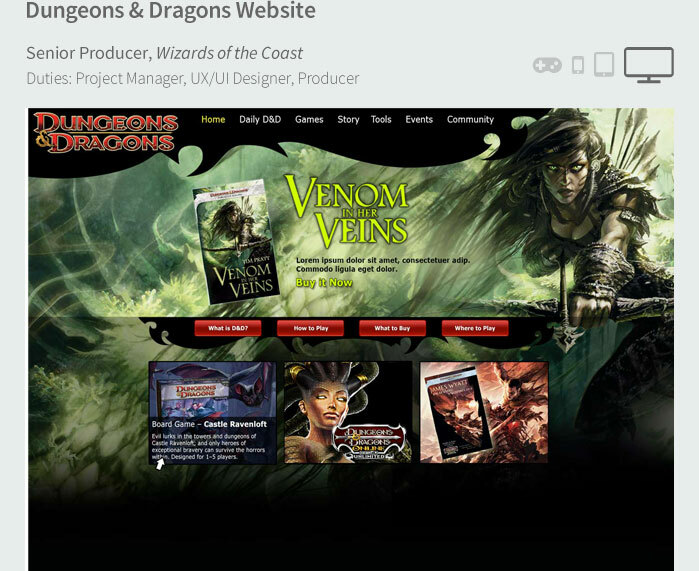 Hired as a Web Designer and earned two promotions within one year: Online Art Director, then Online Producer. Led the online team and was responsible for the global vision and direction of HE's entire Web presence. 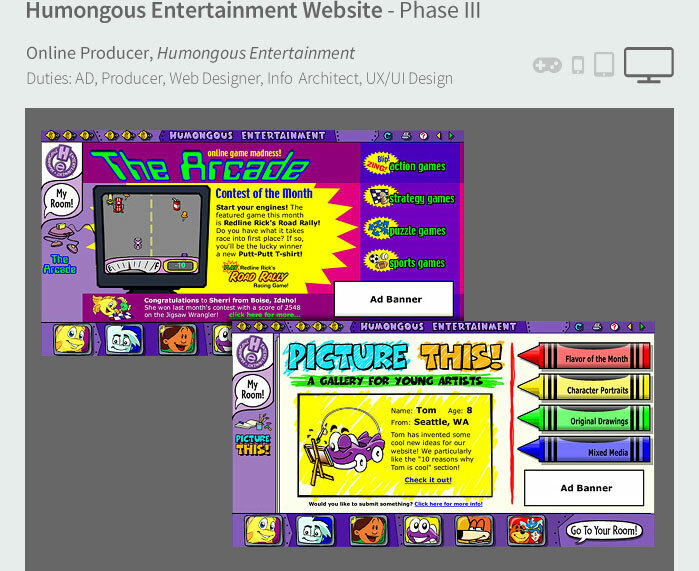 Humongous Entertainment's hilarious, colorful, animated games were widely known and well-loved by kids and their parents. In surprising stark contrast was the company's simple, bland website, which served as little more than a URL placeholder. 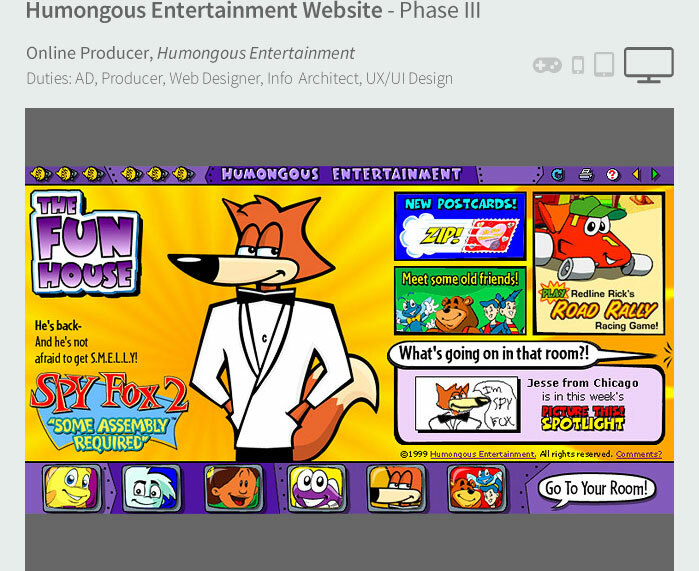 Through his own initiative, Max pitched and sold a bold vision for transforming Humongous.com into a premier, web-safe, kid's entertainment destination that rivaled the company's animation-rich game products. Instituted high-level communication and collaboration between the Online, Software Development, and Marketing Teams and launched the website's first cross-departmental, strategic product initiatives. 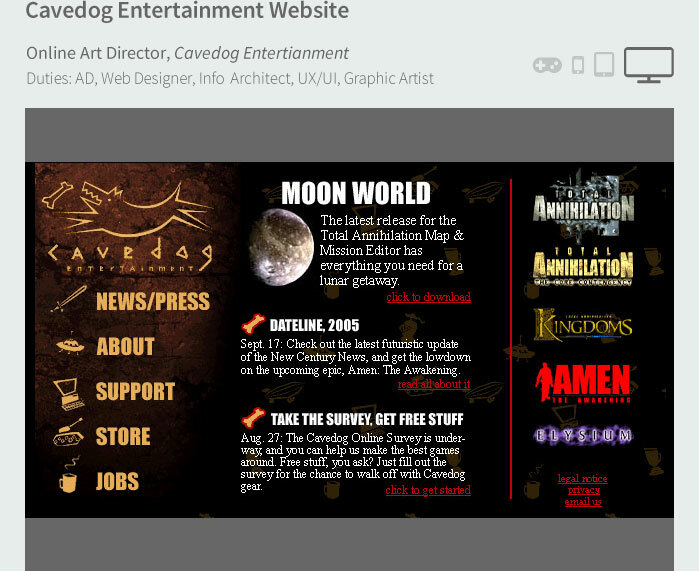 Built new processes that introduced and incorporated web-user and interdepartmental feedback into the website. 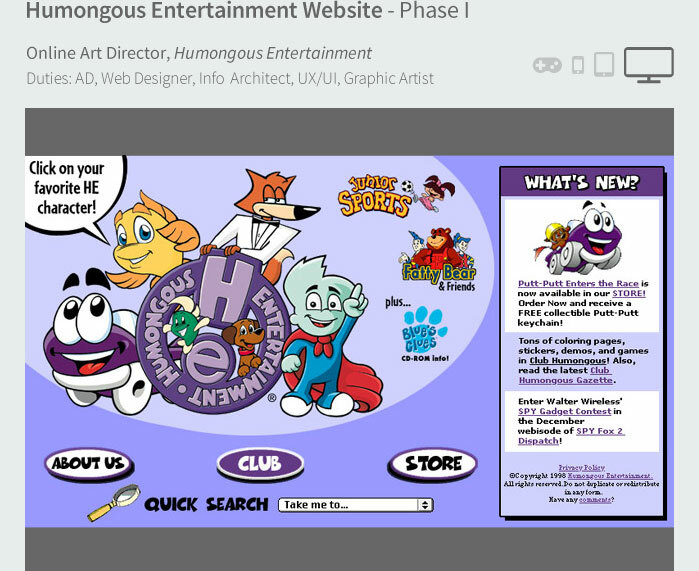 Lobbied for and received blessing from company founders to market Humongous.com as another product of the Humongous Entertainment catalog. 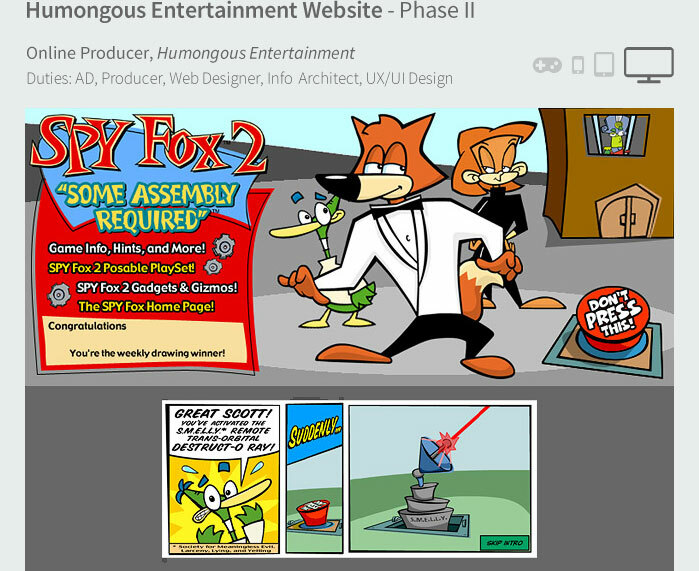 Made good on the initial promise and built a game-loaded, activity-packed, animation-rich, thriving entertainment destination, which was tragically short lived. 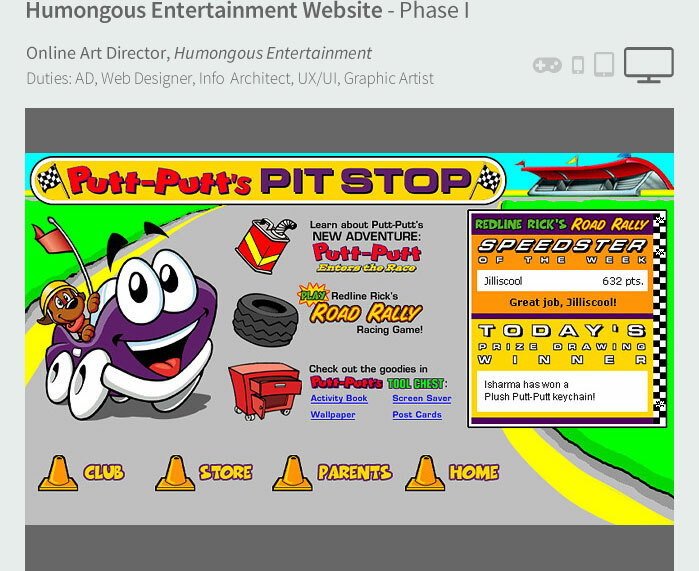 All Humongous.com initiatives were canceled after Atari purchased HE's parent company. 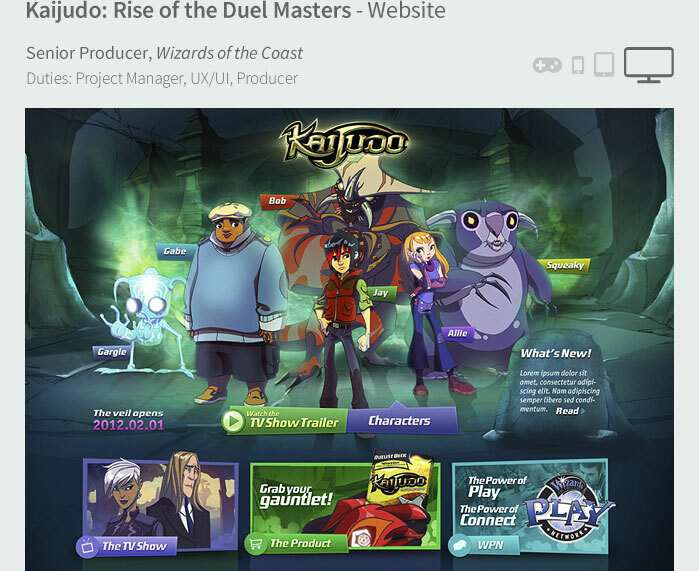 Designed and produced "casual" video games, while acting as a senior producer for the company's Eastern European development teams. 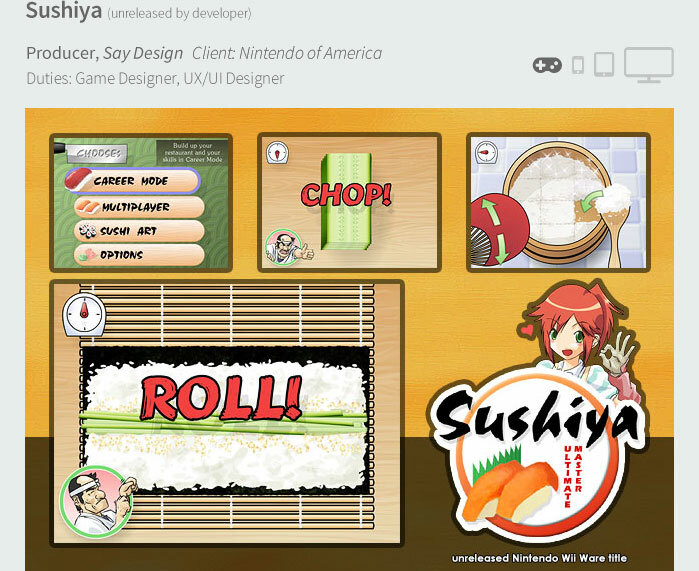 Authored and maintained all game documentation, including GDDs and project schedules. 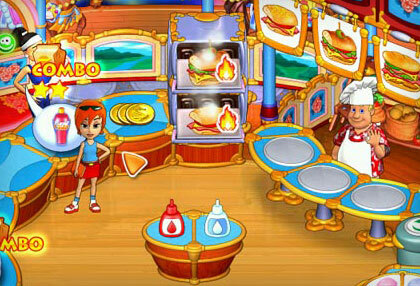 When planning a sequel for a surprise hit, Turbo Pizza, I-Play's initial approach was a fast and simple re-skin of the original game. 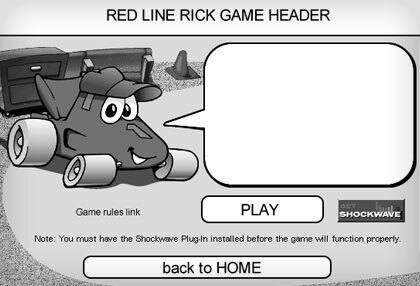 Max understood there was a better way to build upon the budding game series. 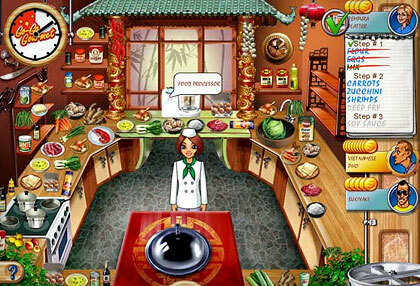 Max convinced I-Play to allow his crafting of a more robust follow-up, including game mechanic improvements to increase player fun and the try-to-buy conversions, as well as help bring a unique differentiation within the crowded "restaurant game" genre. 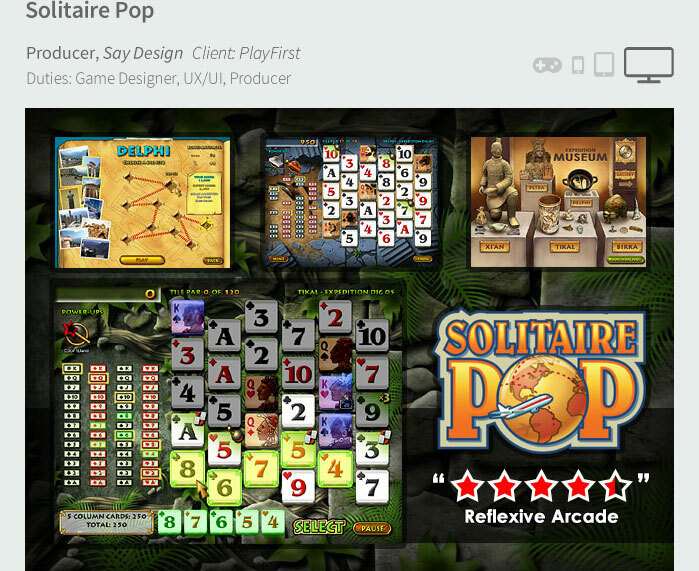 Refined original game design, UI design, and flow elements. 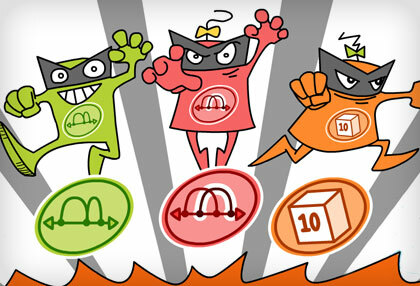 Implemented several exciting new features, including a "Turbo" mode to give meaning to the series' moniker. 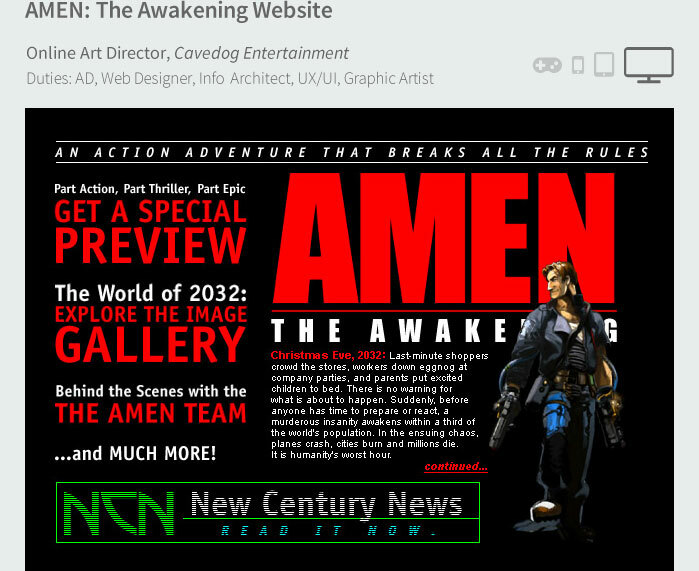 Managed the workload of the speedy 2nd Party developer, keeping production of the new gameplay features, UI, art, and music within the time frame of the original re-skin; presenting no additional cost to the company. Usability testing of the sequel, Turbo Subs scored not only a more positive rating over the original, but also a much higher purchase-conversion rate. 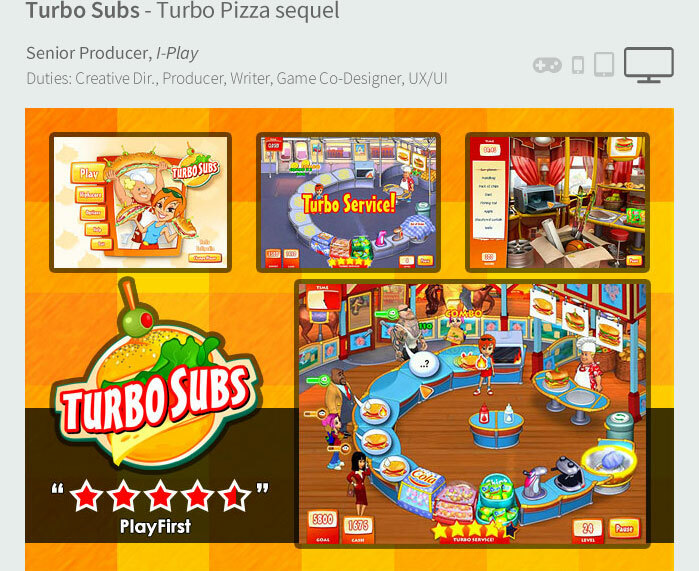 Turbo Pizza fans were jubilant over Turbo Subs and immediately clamored for another sequel. 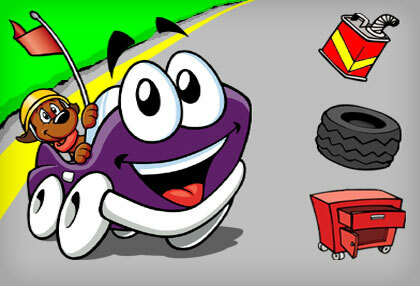 Within months, Max shipped Turbo Fiesta, which bested both previous games' usability test scores. 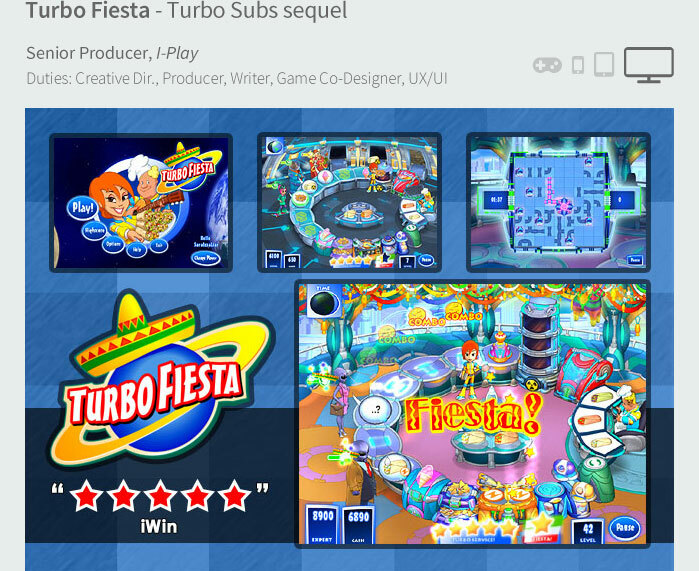 A testament to its improvements, Turbo Subs is the only "Turbo" game to be ported to iOS and Android platforms.